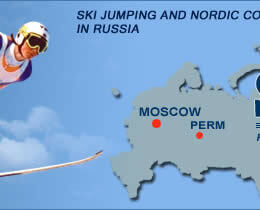 The ski jumping World Cup will visit Nizhniy Tagil for the first time. Nizhniy Tagil is the 65th different venue in World Cup history (men’s and women’s). Nizhniy Tagil is the second Russian venue in men’s World Cup history, after Sochi in 2012/13. On 8 and 9 December 2012, Gregor Schlierenzauer (AUT) and Andreas Kofler (AUT) were the respective winners. The events in Sochi were held on a normal hill, so Nizhniy Tagil will host the first large hill event in Russia in World Cup history. 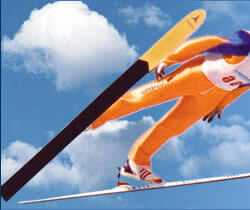 Only two Russian ski jumpers have ever claimed podium finishes in the World Cup (Soviet Union not included). Pavel Karelin (RUS) claimed a silver medal in Garmisch-Partenkirchen in 2010/11, while Dmitri Vassiliev(RUS) combined for three silver and six bronze medals in over a decade (between 2000/01 and 2012/13). This season, the most prominent World Cup result by a Russian jumper was a 16th place by Vladislav Boyarintsev (RUS) in Lillehammer last Saturday. After winning the season’s opening event at Klingenthal last month, Roman Koudelka (CZE) added a second victory in Lillehammer last weekend. Koudelka now has multiple victories this season, while remaining winless in his eight seasons of World Cup ski jumping prior to this campaign. Koudelka’s only two other podium finishes in the World Cup were a second place at Willingen (large hill) in 2011/12 and a third place in Harrachov (ski flying) in 2010/11. Three other jumpers from Czech Republic have registered multiple World Cup victories: Jakub Janda (CZE, 6), Jaroslav Sakala (CZE, 4) and Jan Matura (CZE, 2). Only Janda (20), Sakala (11) and Matura (4) have as many or more World Cup podium finishes as a Czech participant than Koudelka (4). Gregor Schlierenzauer can rewrite the World Cup record books this weekend in Nizhniy Tagil. The Austrian needs one more victory to equal Matti Nyka"nen (FIN) for most victories on large and normal hills in the World Cup. Last weekend in Lillehammer, Schhlierenzauer recorded his 39th win on these hills, one shy of Nyka"nen’s 40. Schlierenzauer’s total of 53 individual victories (including ski flying) is already a World Cup record. No other jumper has more than 46 (Nyka"nen). By winning in Lillehammer, Schlierenzauer snapped a streak of 17 events without an Austrian World Cup win on large or normal hills, since Thomas Diethart’s (AUT) win in the final stage of the Four Hills Tournament in Bischofshofen on 6 January 2014. This was Austria’s longest streak without victory since a 28-event winless run between January 2005 and January 2006. It was his first victory since winning in Lillehammer in 2013, exactly one year earlier, and his first top-10 finish in 2014/15. Schlierenzauer can also become the outright leader in terms of World Cup victories in large hill and normal hill at different venues. 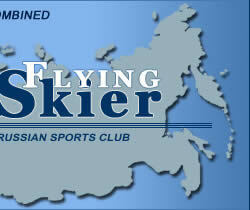 He could achieve this in Nizhniy Tagil. To this day, Schlierenzauer won at least one World Cup in 18 different host cities, which equals for most all-time. Adam Malysz (POL) and Jens Wei?flog (GDR) also won in 18 host cities, while Nyka"nen and Janne Ahonen (FIN) follow with 17.